Holy crap, has it really been three months since a post? Wow. I’ve been busy over at VocalsOnTop.com writing about music and writing for a few print publications and haven’t noticed. In baseball news the Royals are doing well; better than they have done in the 20+ years I’ve been a fan really. 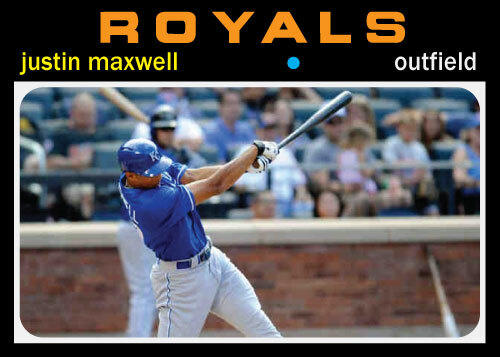 So here is a custom of the newest Royal, a good deadline deal brought Justin Maxwell from the Astros. Here is how it would have looked if he had a 1971 Topps card in 2013. More soon hopefully.